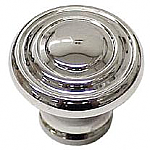 Waterfall and Art Deco Reproduction antique drawer pulls, knobs, and decorative hardware in Waterfall and Art Deco styles can be the perfect finishing touch to your restoration furniture project. 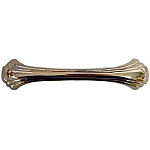 And Kennedy Hardware is the place for all your Waterfall and Art Deco furniture hardware needs! Art Deco design is timeless, dating from the 1920s and1930s. 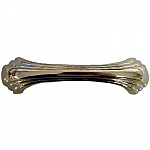 We carry several Art Deco style reproduction drawer pulls in nickel and brass finishes that will accent your restoration furniture piece beautifully. 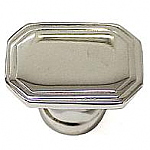 And if you need knobs instead of (or in addition to) our handle-style drawer pulls, we've got nickel and brass Art Deco knobs in round and rectangular/octagonal shapes. 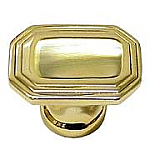 The decorative design influence of Art Deco doesn't stop at the drawer and door hardware, of course. 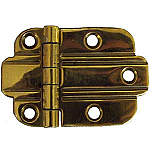 Our wonderful Art Deco hinges marry function and form! 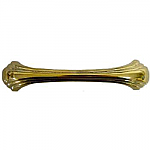 We carry different hinge types in several authentic reproduction finishes. 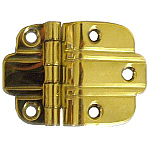 These hinges are great functional accents for any Art Deco period furniture, including Hoosier Cabinets made in the 1930s and 1940s. 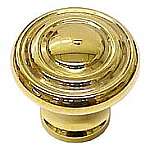 And check out our beautiful vintage-style Waterfall drawer pulls with Bakelite inserts. These pulls are absolutely stunning when you see them up close. Our reproduction Waterfall pulls truly harken back to a classic time in American furniture design. 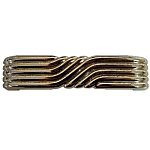 So scroll, click, and order your Art Deco and Waterfall design furniture hardware today. We'll rush your order to you the same or next business day!